Guess what just opened in Singapore? 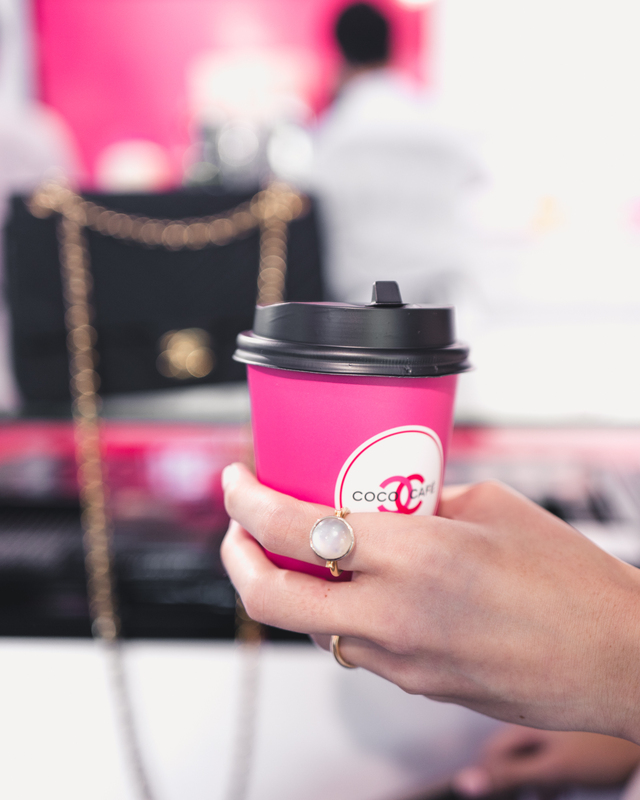 I had the pleasure of checking our Chanel’s Coco Cafe yesterday and thought I’d do a quick blog post to share some photos from the day. I just couldn’t fit everything into one Instagram post! 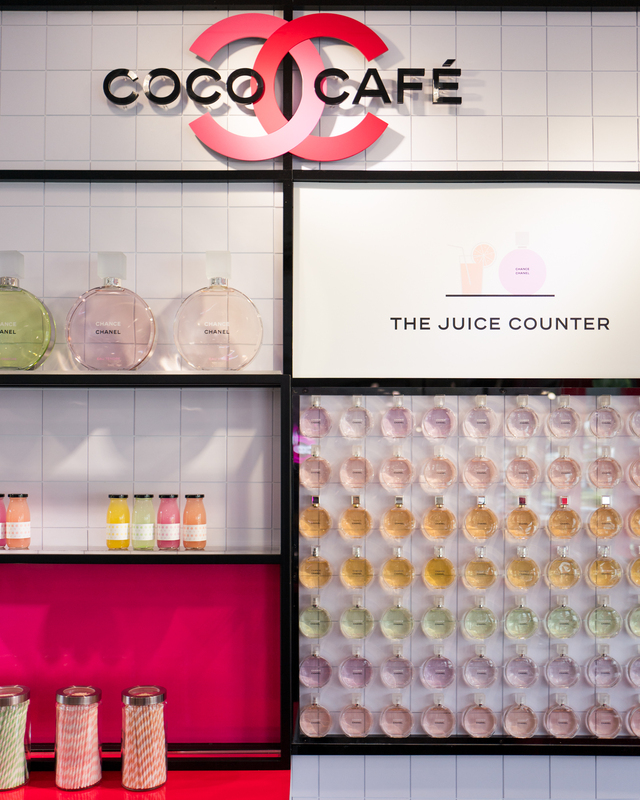 Despite its name, the Coco Cafe isn’t actually the newest and most beautiful cafe in Singapore, but the newest and most beautiful cafe-themed beauty pop-up-store in Singapore. 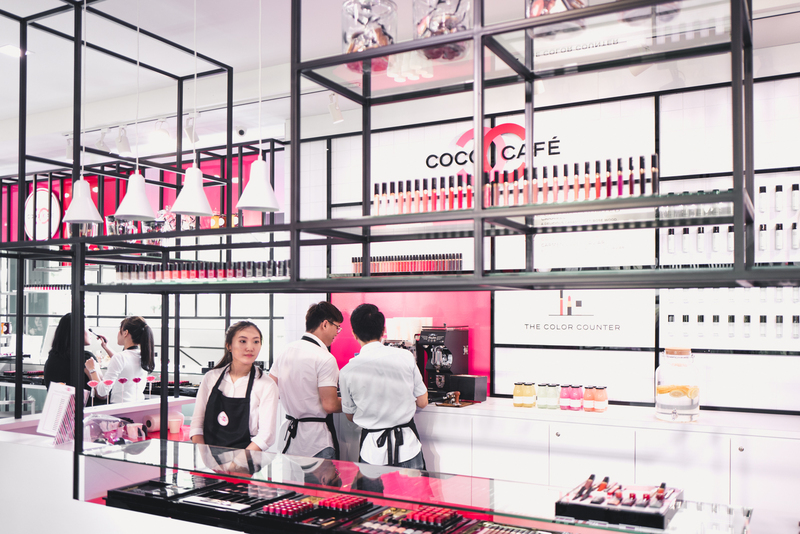 It was conceptualised as a luxurious, relaxing space where you could go with beauty-loving friends to have a coffee and play with makeup. 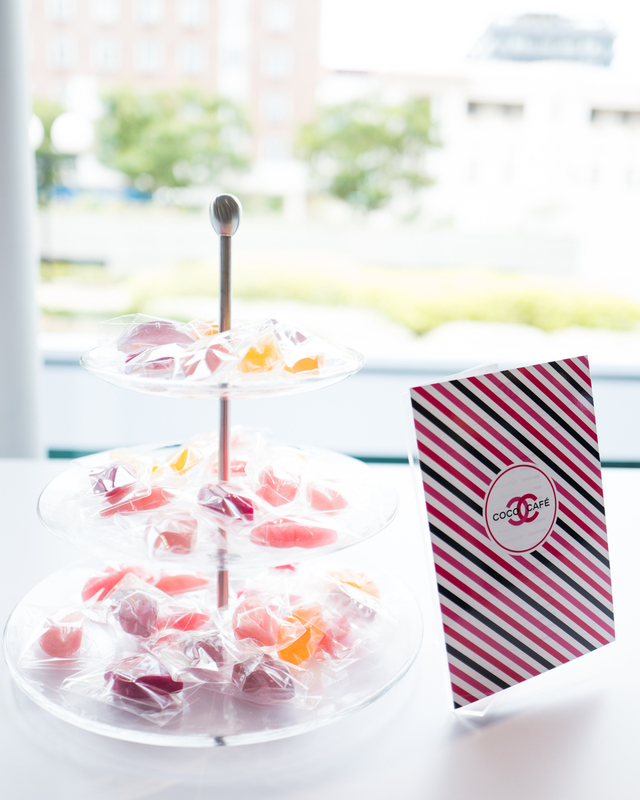 …and edibles like candies and cakes, which are complimentary when you make a purchase. 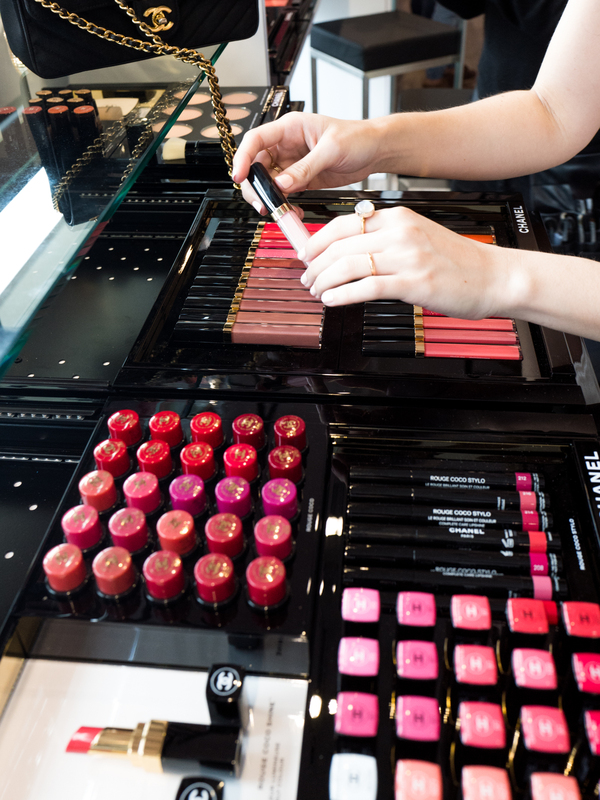 The entire space is stocked with testers, set up so that makeup-lovers can play to their heart’s content. Of course I took the opportunity to swatch everything. 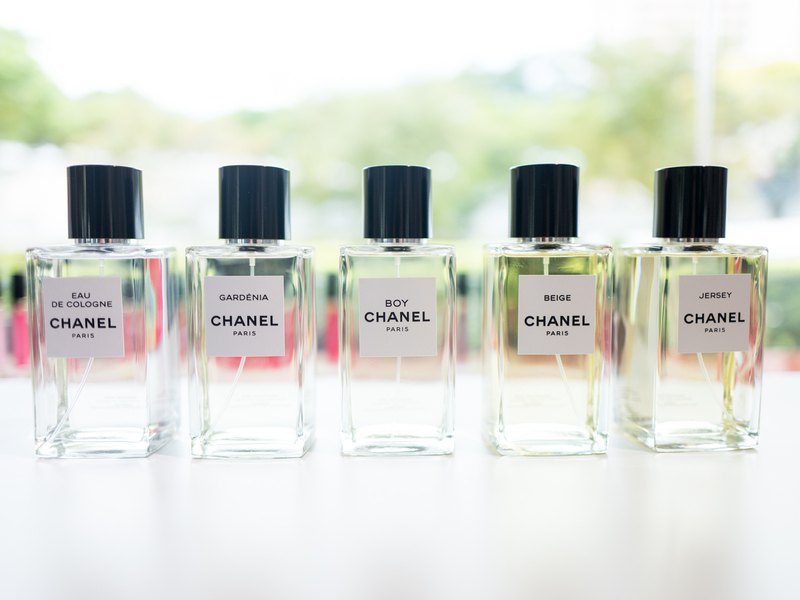 Look out for a post on Chanel’s new lipgloss line next! Aside from being encouraged to play on your own, there are also loads of complimentary professional services, and you can get everything from a manicure to a makeover to a private perfume consultation from the staff who – in my experience – were incredibly helpful, patient and knowledgable. They really nailed the trifecta of perfect service. 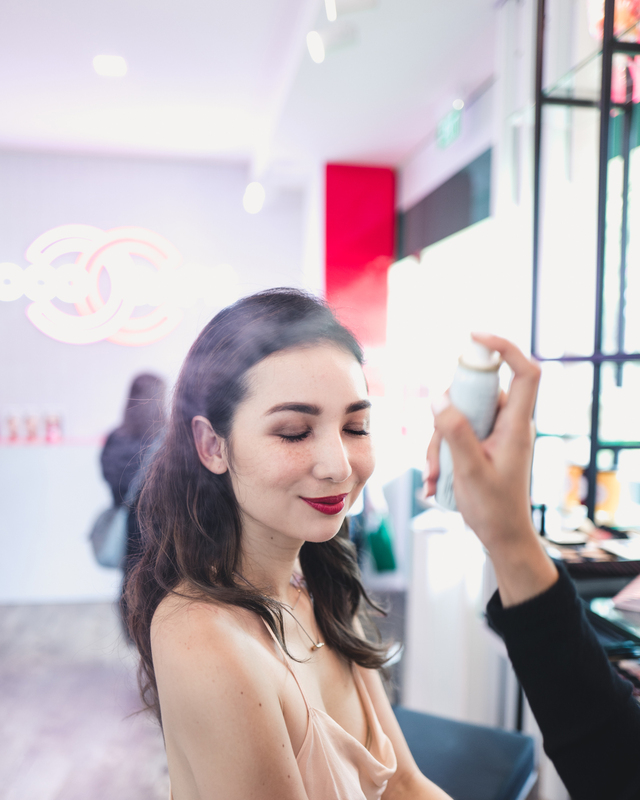 I enjoyed my quick makeup consultation, where I got to try on the Chanel Rouge Coco Stylos I’d been eyeing up, as well as brand’s famed bronzers (which I now think I need in my life) and blush, all of which was set with a spritz of Chanel’s Beauty Essence Mist. 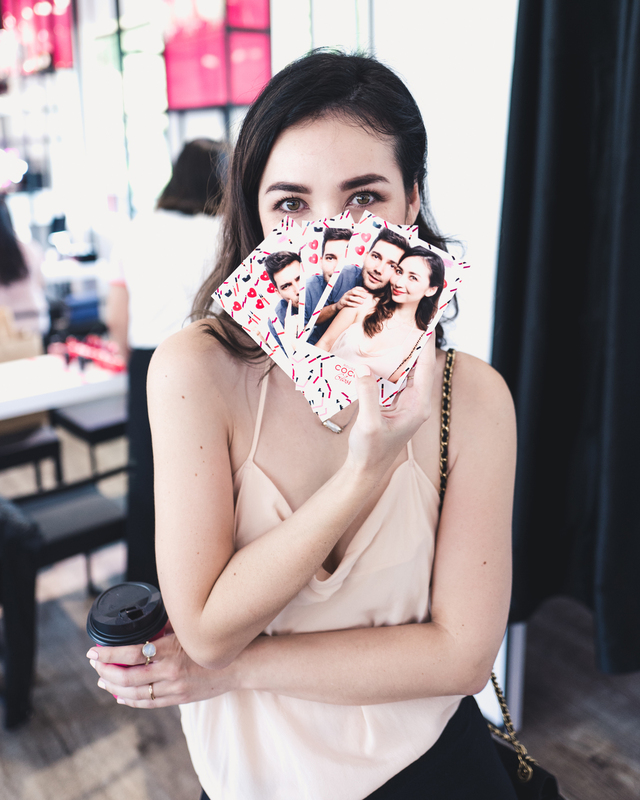 Once you’re all prettied up, grab your girlfriends and head into the photo booth at the back of the cafe. They’ll print the photos for you right there as a keepsake. And yes, I dragged Adam into the booth as well. All in all it was such a fun experience, and just being in the space somehow just felt really uplifting and re-charging. 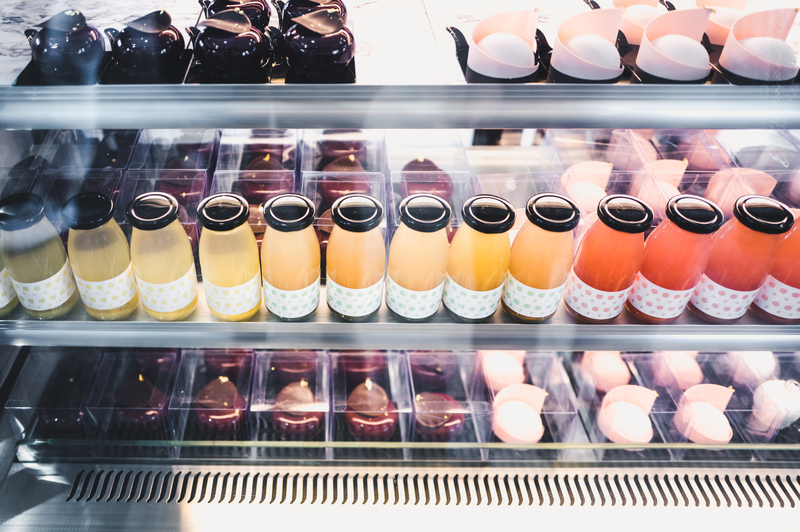 I don’t usually think of pop-up stores as anything more than a marketing tool to sell product, but the Coco Cafe was a genuine treat to be in. 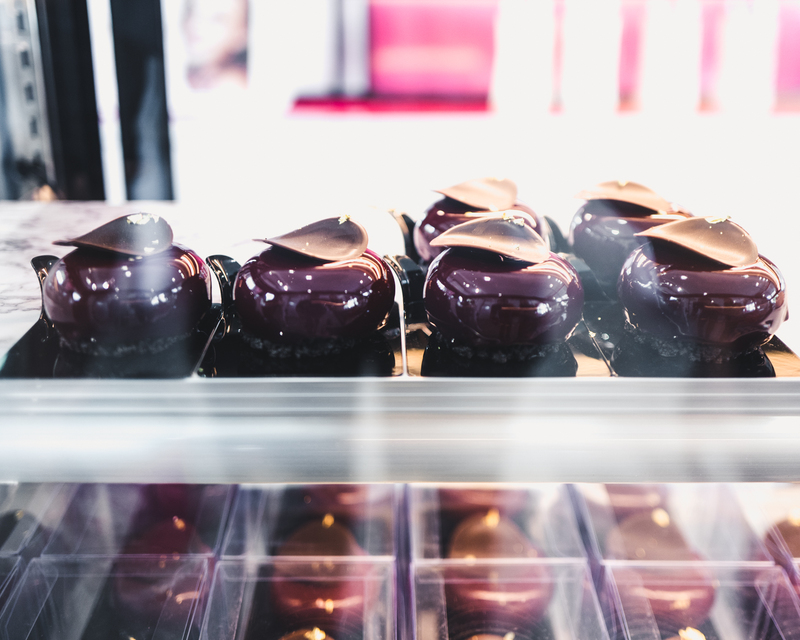 Every aspect of it was beautifully crafted to make it a luxurious sensory experience rather than a store, and there were no sales pitches – just pampering. 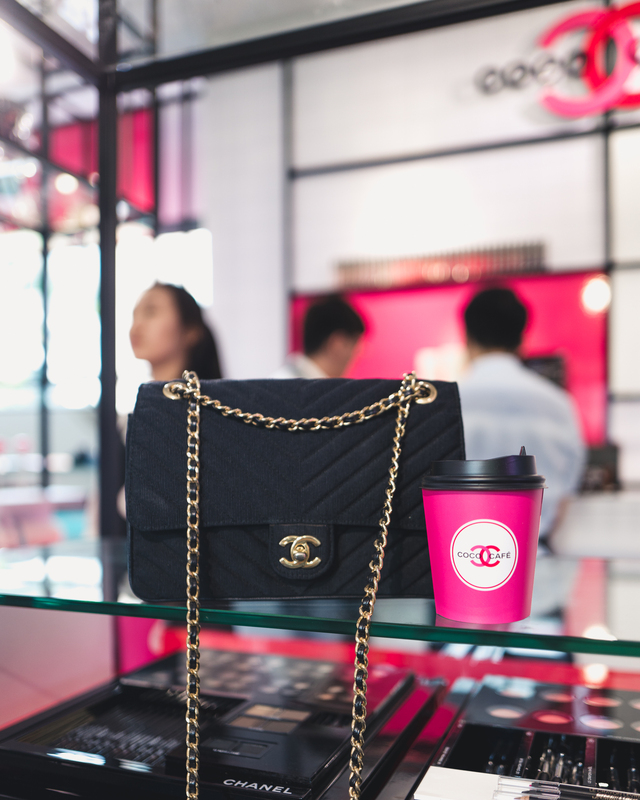 I walked away from it not only well-caffeinated but more in love with Chanel that I’d ever been before. I highly recommend checking it out! Details: Admission is free, but there are crowd-control measures in place to make sure that everyone who enters has a special experience. Though the reservation list is full, I’m told that Chanel staff are also accepting walk-ins and will encourage guests to leave their phone numbers for a call-back on a first come first served basis (so there is a benefit to showing up early in the day). 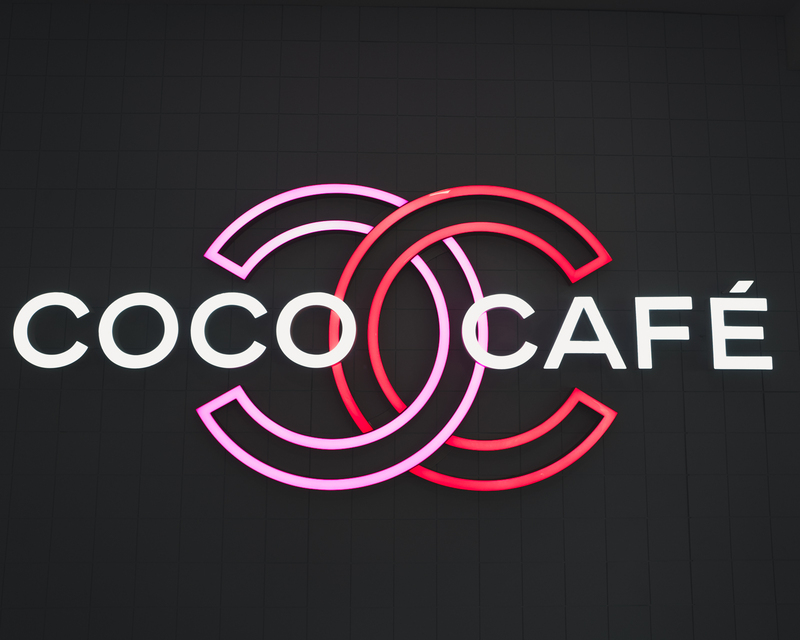 Coco Cafe will run from the 8th to the the 16th of April, and is located at the Visual Arts Centre, Dhoby Ghaut Green. No idea where that is? No problem! 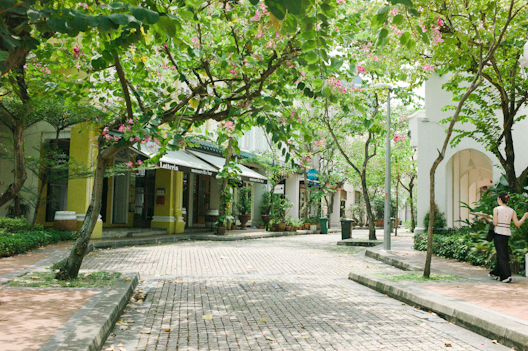 Just take the MRT, get off at Dhoby Ghaut Station and use Exit B which will pop you up right next to the cafe’s entrance.